President-Elect Donald Trump has finally rolled out his much-discussed extreme vetting plan, which includes an ideological test given to individuals looking to relocate to the US. Of course, many wonder how the US government is going to verify the answers to these tests. After all, someone with the foresight to use the refugee crises to sneak into the US is probably going to know and research how to give all the right answers to the questions—even if all those answers are lies. Some have asked if polygraph examinations are going to be given in conjunction with the questions. This would be an unwieldy solution, however, as conducting polygraphs is an expensive and time-consuming process. Because of this, it’s likely that the government will have to look into other alternatives to verify the answers given on the ideological tests. To be successful, this technology must be scalable, efficient, inexpensive, and above all, accurate. This is something which can be accomplished by using an alternative form of biometric testing: Remote Risk Assessment (RRA). While this might seem like an ideal solution to some, there are some major problems with this idea. The first is expense. The cost of a test with a certified polygraphist can cost up to $2000. Now, consider the fact that it’s estimated that the US will accept up to 100,000 refugees from various countries in 2017. That would bring the total polygraph bill up to a hefty potential $200 million—and that’s only for people who take the test and are accepted. The real number would be much higher because it’s possible that many would be refused entry after taking the test. Next, we need to consider the time and scale of such an operation. There are only so many certified polygraphists available—and there are even fewer polygraph examiners that are also certified in a foreign language. A limited number of examiners means that the entire process of vetting thousands of applicants will be significantly delayed. Finally, accuracy must be a priority. These individuals are coming from war-torn countries and are already under significant stress. Placing them in an intimidating environment, like the one for a polygraph examination, could lead to emotional responses. Those emotional responses may result in false positives. On the other hand, individuals more experienced with deception may find ways to get around the tests, resulting in false negatives. That could potentially mean that dangerous individuals will be admitted to the US, while low-risk individuals could be denied entry. The high expense and enormous volume of interviews needed will make it very difficult to manage the task of using polygraph examinations in the extreme vetting process, but an alternative is to use unique, new, and more efficient technology that can give fast and accurate results, and Remote Risk Assessment is exactly that. Remote Risk Assessment is a means of streamlining the risk assessment process via remote technology. In a situation like extreme vetting, it offers several benefits over the polygraph process. This includes the ability to manage interviews remotely, control costs, and maintain accurate results by simplifying the process. RRA can be executed from any location, as it involves using a telephone-based interview, which can be completed via an automated system. This is proprietary technology that analyzes the human voice to determine the risk level of a given individual. Because it can be completed automatically, via a phone-based system, no specialty personnel are needed. This significantly reduces the cost. Next, this system can be rolled out on a mass scale basis. That means that thousands of people can be screened in a short amount of time, simply by calling into an RRA center and answering a series of predetermined questions with yes or no answers. Most interviews can be completed in about ten minutes. Finally, these systems are extremely accurate. 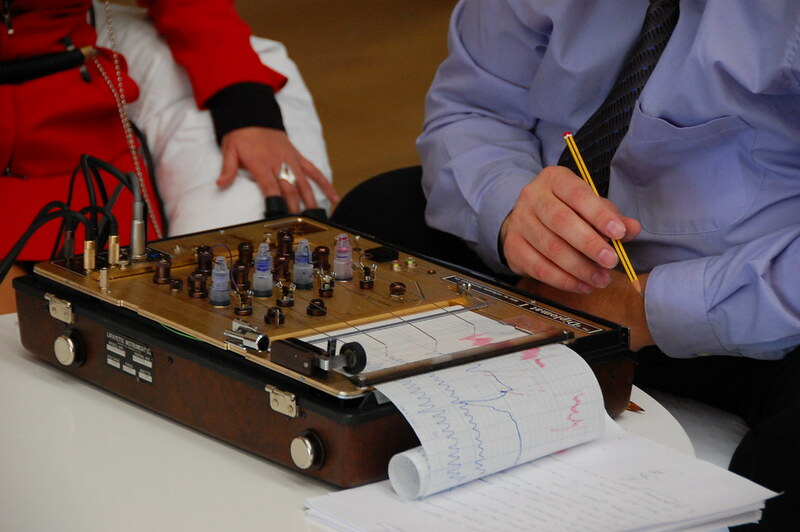 Unlike polygraphs, the technology cannot be “tricked” by controlling the body. Moreover, because the individual is taking the exam in a more informal environment, they’re less likely to suffer from emotional reactions that could lead to false negatives. A well-calibrated RRA system can deliver results with 96% accuracy. At AC Global Risk, we offer our RRA technology for use across a wide range of industries, both public and private. Our technology has helped many enterprises identify and reduce risk in their organizations while also controlling costs. For more information on utilizing RRA at your organization, contact us today.